How Would You Transform Your Kitchen? You are here: Home / Lifestyle / How Would You Transform Your Kitchen? You may have noticed that I love posting recipes. What you don’t know is how I wish for new appliances in my kitchen. We have not been able to replace the appliances since we bought this house. So I am always dreaming of transforming my kitchen. 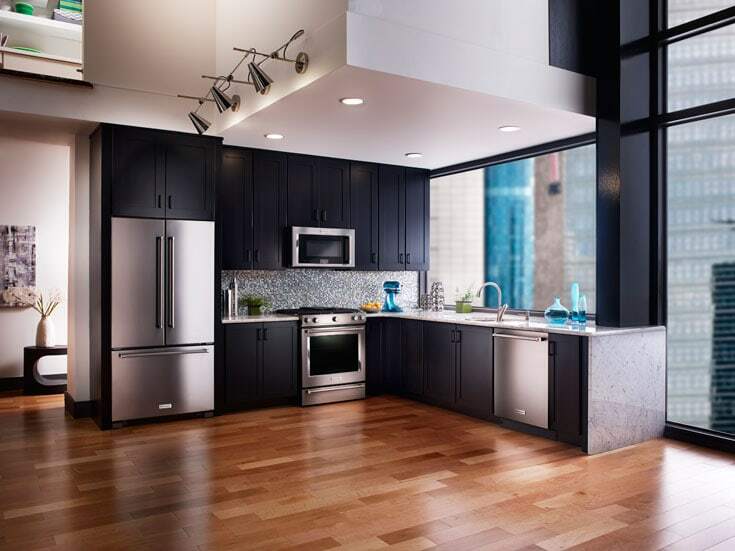 I have recently noticed that Black Stainless Steel appliances look very nice! This is the first year I have seen this look. As a person who likes to have black appliances, this intrigues me. Can’t wait to see it in person! When it comes time to redo my kitchen, I will be starting with the range. It is important to have a properly working range to prepare meals for family. Have you considered transforming your kitchen with KitchenAid? They have some great new products that I have been eyeing. Check out these great features! Want to find out more about these appliances? You can find them on Best Buy and they are even offering Free Delivery on purchases over $399 and you can get 18 months financing on major appliances or 5% reward points. Don’t forget to make sure you measure correctly when looking at purchasing new appliances. Best Buy has you covered and shows you how to measure properly. How would you transform your kitchen? What new appliance would you choose?